Stepping into the Spring season around the corner. 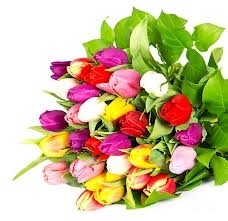 Start it off with this amazing and birght flower bouquet. LA Royal Florist has been a family owned and operated flower shop in Los Angeles since 1991. Our Los Angeles florists and flower shop is proud to offer the highest quality locally grown California flowers. Each flower arrangement is made with the freshest cut flowers. We have the "BEST FLOWERS IN LOS ANGELES ." Flower Shop is located at 7201 Melrose Ave. Los Angeles, CA 90046. The flower shop hours are 10:00 am - 8:00 pm Monday - Saturday, Sunday is 10am to 5pm. We are closed on most MAJOR HOLIDAYS.